Here's the Carzone.ie guide to bying a used Tesla Model X. 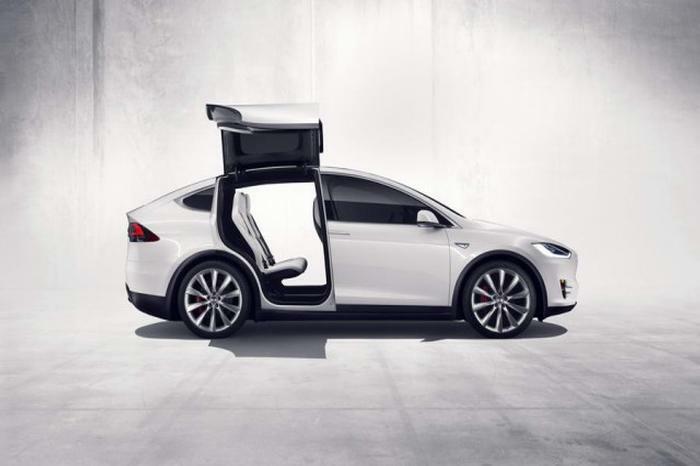 The Tesla Model X is an all-electric SUV by the American company, made famous by its attention-grabbing ‘Falcon’ doors that allow access to the rear of the car. It’s a seven-seat vehicle developed on the same platform as the Tesla Model S. Though the Model X has been in production since 2015, Tesla only opened its official Irish sales outlet in 2017, so used examples are thin on the ground. Only just over 72,000 units have been sold on a global scale – up to the end of 2017. All versions of the Model X to date use all-wheel drive, made possible by having motors on the front and rear axles. The model names come from the battery pack capacities, so there have been 60, 70, 75, 90 and 100kWh versions. Some are designated performance models and have a P in front of the name, while all are dual-motor, so have D after the name. For example, the range-topper is the Model X P100D. At this stage, you’ll be lucky to find a Model X in the classifieds, as it’s a very new vehicle, so take what you can get. The higher models come with a longer-range battery so they’re well worth seeking out, though all are impressive in terms of performance and technology.